Multi-Layer Steel, 4.080 in. Bore, .040 in. 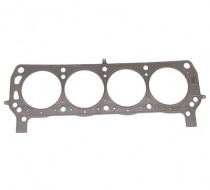 Compressed Thickness, Ford, Small Block Windsor, Head Gasket from Trick Flow and Cometic. 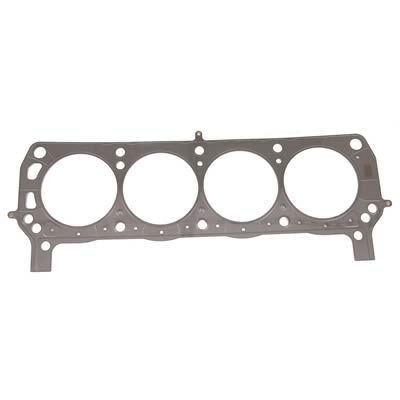 These Head Gaskets are the best way to seal aftermarket cylinder heads to a Ford small block engine. With three layers of stainless steel, these gaskets offer better torque retention, less distortion, and better sealing than conventional or composite head gaskets in high horsepower, high cylinder-pressure applications. Note: Dry install gasket. Surface finish should be 50 RA or finer. For use with production style engine blocks and cylinder heads only. These gaskets do not fit SVO applications.